Osoyoos. The name inspires thoughts of warm weather, a visitor-friendly community and the luxury of being on vacation. The warm water and beaches of Osoyoos Lake and the beauty of the surrounding vineyards, desert landscape and mountains attract thousands of visitors to the small community every summer. Here are a few local treasures worthy of close exploration. Who can resist investigating that name? Located on Highway 3 on the east edge of Osoyoos, the vineyard opened as Twisted Tree vineyard in 2004 under owners Chris and Beata Tolley. Local history includes tales of smugglers from the gold-rush era who chose moonless nights for their attempts to evade customs agents at the nearby Canada-U.S. border. 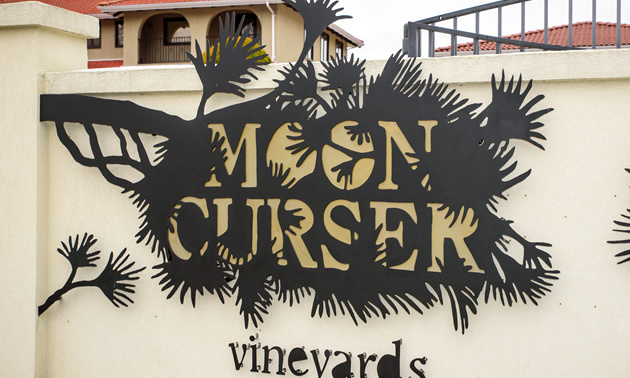 In 2011, in a tongue-in-cheek nod to the renegade spirit of the smugglers if not the actual activity, the Tolleys changed the company name to Moon Curser Vineyards. Moon Curser has been producing award-winning wines since 2007—the list of awards goes on for pages—and its tasting room and knowledgeable staff get rave reviews. From late April through early October, visitors can enjoy exploring the Osoyoos Desert Centre—known popularly as “Canada’s pocket desert.” The entrance to this fragile, 27.1-hectare (67-acre) ecosystem is located three kilometres (almost two miles) north of Osoyoos on Highway 97. The Osoyoos Desert Society operates and protects this rare area, and offers guided and self-guided tours. Bring a hat, sunscreen and plenty of drinking water for summertime tours. The centre has no food outlet, but operates a gift shop and resource library, and provides a picnic area. 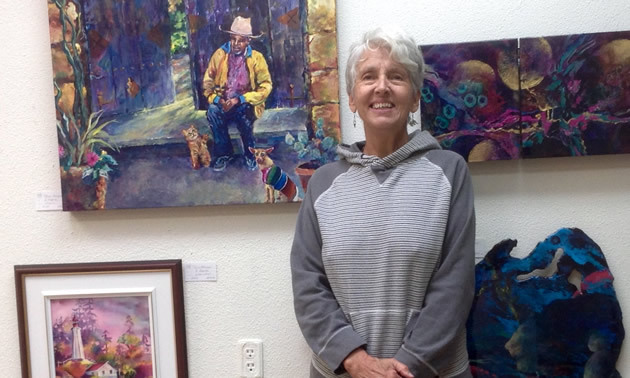 The Okanagan Art Gallery was founded in the community of Oliver, B.C., in 2011. The gem of a gallery was instantly popular with visitors and local artists, and by 2015 was ready to expand to new markets and more space. It was relocated to 8302 Main Street in nearby Osoyoos, for better exposure to that city’s greater tourist numbers. The gallery’s six rooms provide small, intimate spaces where visitors may appreciate the displayed works of art at their leisure. One of the featured artists is always available to answer questions or have a conversation with visitors. The gallery offers paint-ins, demonstrations and classes for visitors of any skill level. Check the gallery website for event schedule and availability. 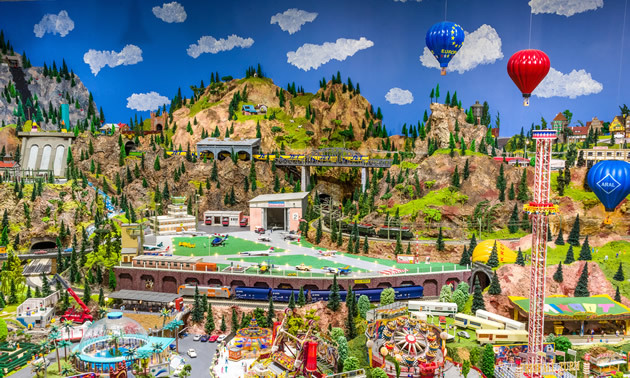 Within the 4,000-square-foot Osoyoos Desert Model Railroad facility, up to 45 tiny, computer-controlled trains run through miniature European-style towns featuring almost 2,000 hand-painted houses and close to 20,000 tiny people. The colourful landscapes include street scenarios, waterways, parks, tunnels through the mountains, busy ski runs, night scenes and plenty of scope for every imagination. Sharp eyes will find bunnies on a hillside, a bungee jumper, monkeys and other animals at the zoo, a monster truck, heli-skiing and many, many scenarios to inspire wonder and delight. This popular attraction, labelled “a world-class miniature wonderland,” is open from 10 a.m. to 5 p.m. Monday to Saturday, year round. It is located at 11611 - 115th Street, Osoyoos. 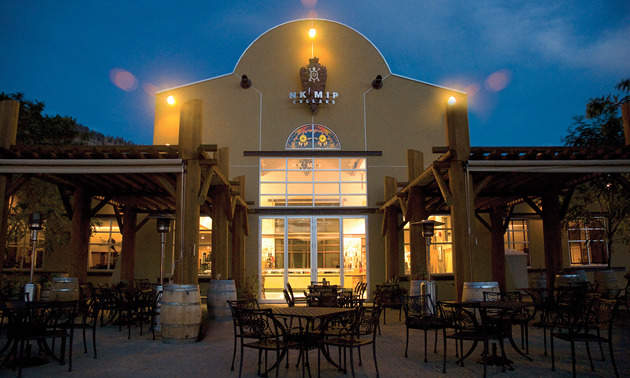 The first Aboriginal-owned and operated winery in North America is Nk’Mip (“In-ka-meep”) Cellars, located at 1400 Rancher Creek Road, Osoyoos, B.C. The winery has been winning Canadian and international awards for vintages produced every year since 2008. As we’d expect, the wines are exceptional. The unexpected gem, though, is the patio restaurant, where the North American cuisine is fresh, locally sourced and perfectly prepared with traditional Aboriginal techniques. The grassy patio overlooks vineyards, Osoyoos Lake and the distant mountains. This is a place to relax, breathe deeply and enjoy the restorative power of food, wine and nature. 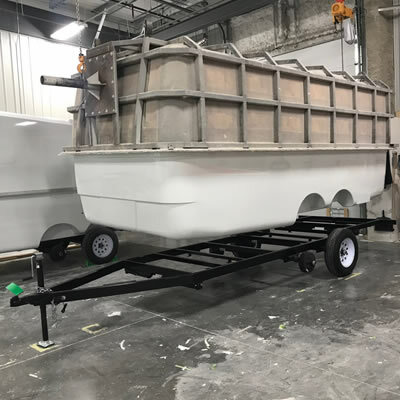 Reace and Tammy Harmatuik make great trailers at Escape Trailer Industries, say their customers.